Matthew Burton, left, former maintenance supervisor at Elida schools, was sentenced Monday to four years on probation and 85 days in jail — one day for each $1,000 he stole from the district — during a hearing in Allen County Common Pleas Court. At right is his attorney, Kenneth Rexford. LIMA — A former employee of Elida schools who stole $85,000 in goods and services from the school district will spend one day in jail for each $1,000 he pilfered. Allen County Common Pleas Court Judge Jeffrey Reed on Monday sentenced Matthew Burton, 43, of Lima to four years on probation in addition to 85 days in the county jail on a third-degree felony charge of theft in office. Burton is the former head of maintenance for the school district and also served as a coach of youth sports teams at Elida. He was indicted last fall by an Allen County grand jury on one count of theft in office and two counts of aggravated theft, all third-degree felonies, for “depriving the … Elida School District of property or services” valued in court documents to be in excess of $100,000, according to court documents. During Monday’s sentencing hearing the school district’s actual financial loss, as well as amount of restitution Burton was ordered to repay, was set at $85,000. The indictment alleged the offenses took place between October 2007 and May 2017. Burton resigned his position with the school on May 11 of last year. In June, he accepted a deal from prosecutors whereby the state agreed to drop the aggravated theft charges in exchange for Burton’s guilty plea to the remaining count. In addition to his job as a maintenance supervisor, Burton was also heavily involved in youth sports at Elida and, according to one school official, helped conduct “Character Night” meetings for students on a regular basis. Don Unrah said in court Monday that a constant focus of the Character Night sessions was “about doing the right thing when no one is looking.” He said Burton let down the community as a whole by stealing from the district. Defense attorney Kenneth Rexford said his client was not attempting to shed blame for his actions, but was merely part of a “culture of what was going on (at Elida schools) where people in the past had been encouraged to take extra compensation” for their positions. Current Elida Superintendent Joel Mengerink did not return a call seeking comment Monday afternoon. In addition to jail time, restitution and probation, Reed ordered Burton to remain off all Elida school property for five years and to perform 80 hours of community service. 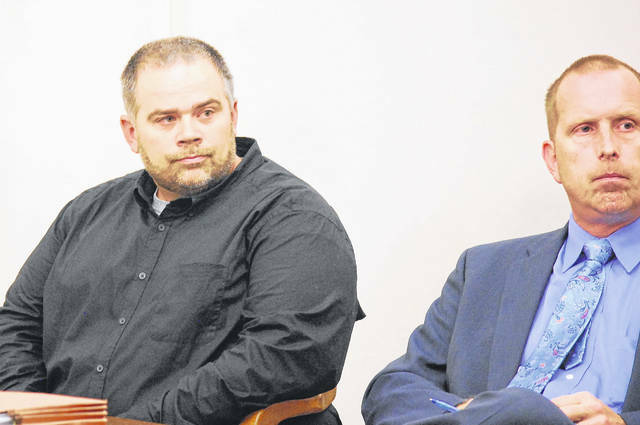 https://www.limaohio.com/wp-content/uploads/sites/54/2018/08/web1_Burton-sentenced-1.jpgMatthew Burton, left, former maintenance supervisor at Elida schools, was sentenced Monday to four years on probation and 85 days in jail — one day for each $1,000 he stole from the district — during a hearing in Allen County Common Pleas Court. At right is his attorney, Kenneth Rexford.